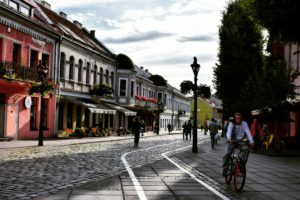 Kaunas is at the heart of Lithuania and, therefore, rather evenly distant from other spots worth visiting: the capital Vilnius is just an hour drive away, while a two hour drive will get you to the seaside. That’s the beauty of Lithuania: everything is so close! 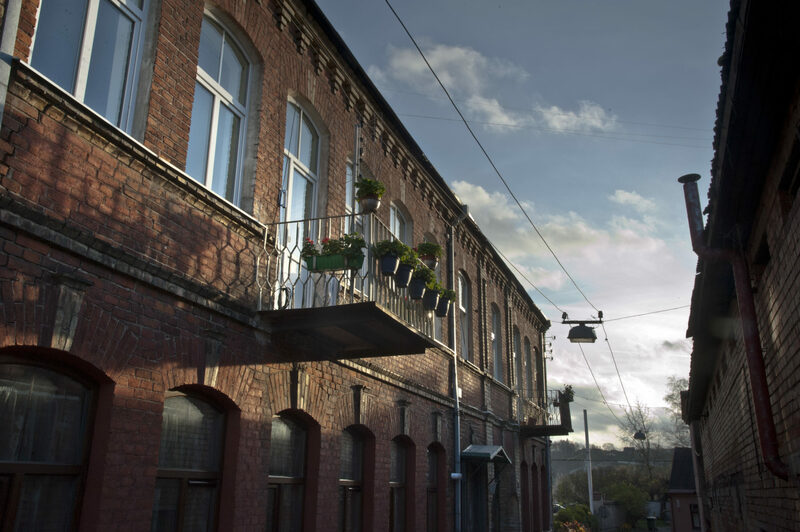 Kaunas is frequently mentioned among best cities for art deco design and you will be able to witness the spectacular spirit of the interwar period at its centre, riding a funicular or enjoying a breath-taking panorama from the top of the hills surrounding the city centre. 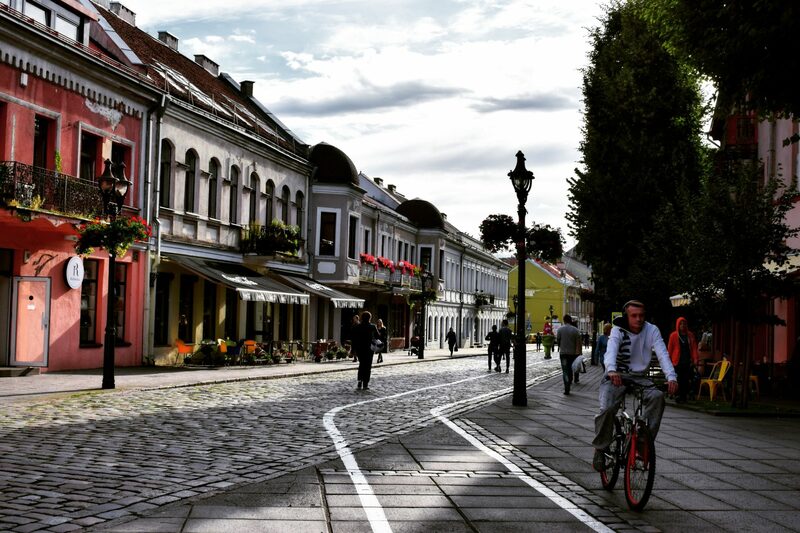 Proud citizens might tell you that during the interwar period Kaunas was the provisional capital of Lithuania but while these were certainly good times for Kaunas, they have not ended at that point! So yes, architecture is one of the reasons to see Kaunas: from art deco centre, to medieval castle at the confluence of two rivers, from a modern office buildings that looks like a 1000 litas bill (the currency of Lithuania before euro) to globally-acknowledged works of street art. 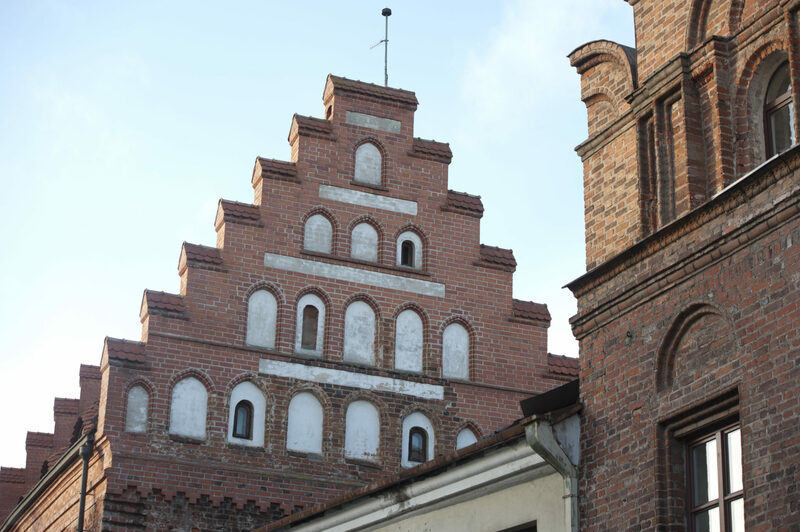 You can beat your museum-visiting record here, as Kaunas has the largest concentration of museums in Lithuania of sports/ devils/ war/ paintings/ zoology/ aviation/ medicine/ folk instruments/ open-air folk museum/ literature/ atomic bunker/ clowns and so many more. Kaunas is the city of universities and students, where approximately every sixth person of the population is a student. While students might not seem such a prominent category during summer, the spirit of freedom and youth is present all year round. In winter, Kaunas turns into a fascinating Christmas town, acknowledged around the world for its original, eco-friendly and unconventional Christmas trees, surprising both the citizens and the guests every year. 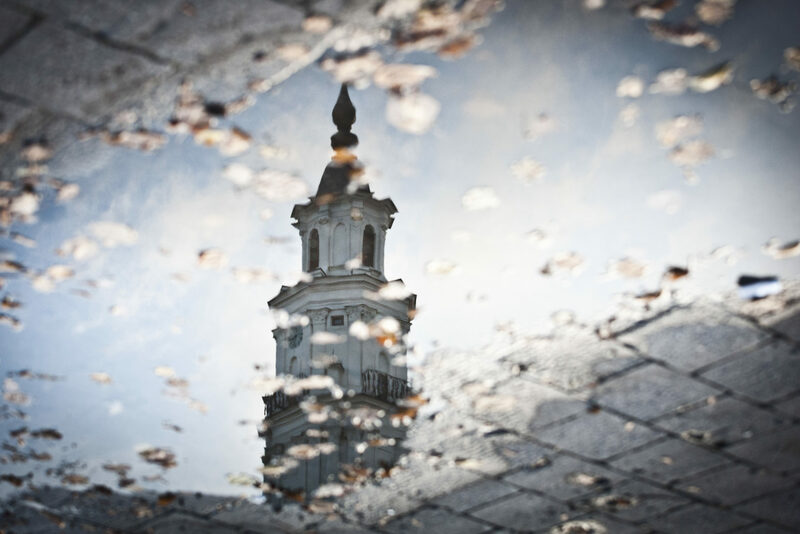 While you will not see any of this in summer, imagining Kaunas all adorned and decorated might inspire you to come back here during the winter season (snow might not be included into the deal).